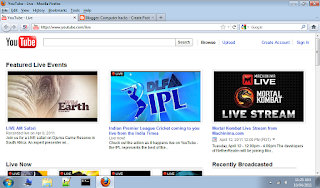 Home » youtube » Watch movies & live ipl on you tube ! 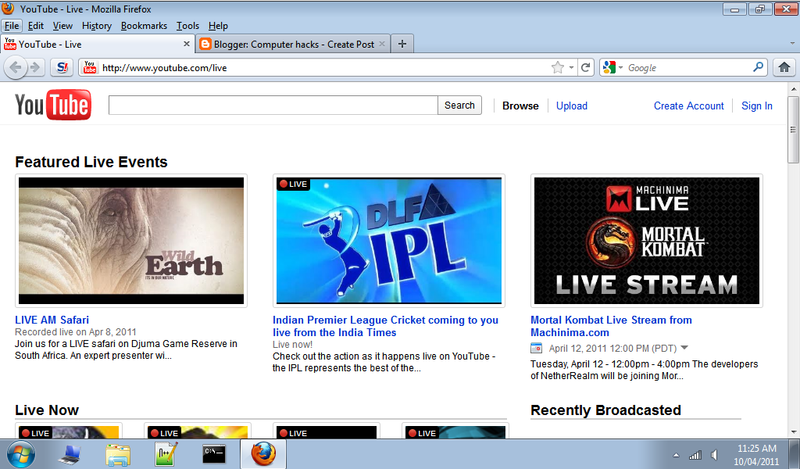 Watch movies & live ipl on you tube ! on this week i was researching on you tube channels ,& i got some official links from youtube. after the cricket world cup India is now more crazy about cricket :) and dlf ipl is already started recently . in you tube whenever you wants to watch latest movie you have to just search : "movie name " space part 1 and filter search result with upload date and you can watch the movie (low quality :( ) but ignore that kind of stuffs coz the are not copy righted ! but if you visit this link you can watch legally movies ! : www.youtube.com/movies with HD quality !! !